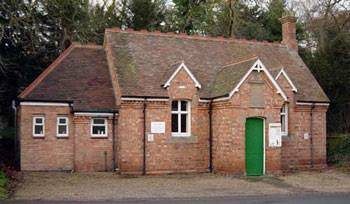 The Village Hall, on Gainsborough Road was built in 1885 by the owner of Winthorpe Hall, G T Pierce Duncombe, having previously been a church which he had commissioned 11 years earlier in the nearby village of Brough. In 1938 Mr W J Need, the then owner of Winthorpe Hall and the former church, presented the latter to the village as a reading room but it was promptly requisitioned by the army to be used as a store in WW2. In 1951 the building was refurbished and became the Village Hall as it is today. A fuller history of the hall can be found in the Village Scrapbook. The Village Hall, a registered Charity, is run by a Board of Trustees for the benefit of the village and for use by village organisations. Each organisation is entitled to a representative on the Board and a number of individuals can be co-opted. Village Hall officials are elected by the members. The hall is currently used by, amongst others, the Parish Council, Neighbourhood Watch, the WI and the Tuesday Club. It is available to rent for other activities such as a very popular art class run by local artist, Max Neale, and children\'s parties, meetings, coffee mornings and charitable fundraising etc. Barbara and David will be pleased to take bookings, either regular or one-off at any time. The booking fee is currently £6 per hour.